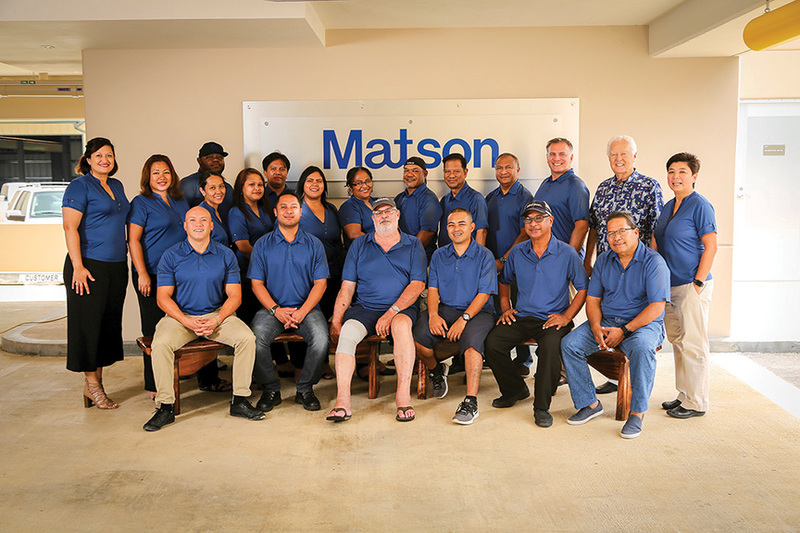 It’s been quite a year for Matson Navigation Co. in Micronesia. And while the shipping giant has had a number of positive milestones in the past 12 months, it has also seen some tumultuous events that weren’t on its radar. These included a high profile legal tussle, and the call to ship multiple loads of goods to the Northern Mariana Islands in the wake of Super Typhoon Yutu in October. Bernadette N. “Bernie” Valencia, vice president and general manager of Matson Navigation for Micronesia and Okinawa has risen to those challenges with the same calmness and can-do attitude that she exhibits at community events, in personal visits to clients around the Micronesia region and at non-profit board meetings. In recent months she has also overseen the shipment of multiple goods to the NMI as they recover from Super Typhoon Yutu, which hit Saipan and Tinian particularly hard. 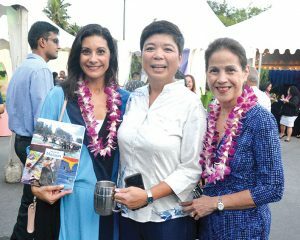 Carlotta A. Leon Guerrero, executive director of the Ayuda Foundation has worked with Valencia in getting aid to the islands for needs such as typhoon recovery. Valencia was promoted to vice president in October 2017. 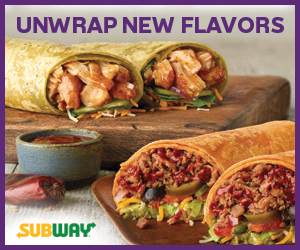 The promotion was perhaps all the sweeter because she said at the time that the recognition came out of the blue. “I wasn’t expecting it,” she said. There is an element of the bigger picture in her promotion, she says. The promotion came after the successful construction and grand opening of Matson’s 10,000 square foot new office in Anigua in September 2017. The significant six-figure investment is Matson’s first self-owned building in the region — to include Hawaii. 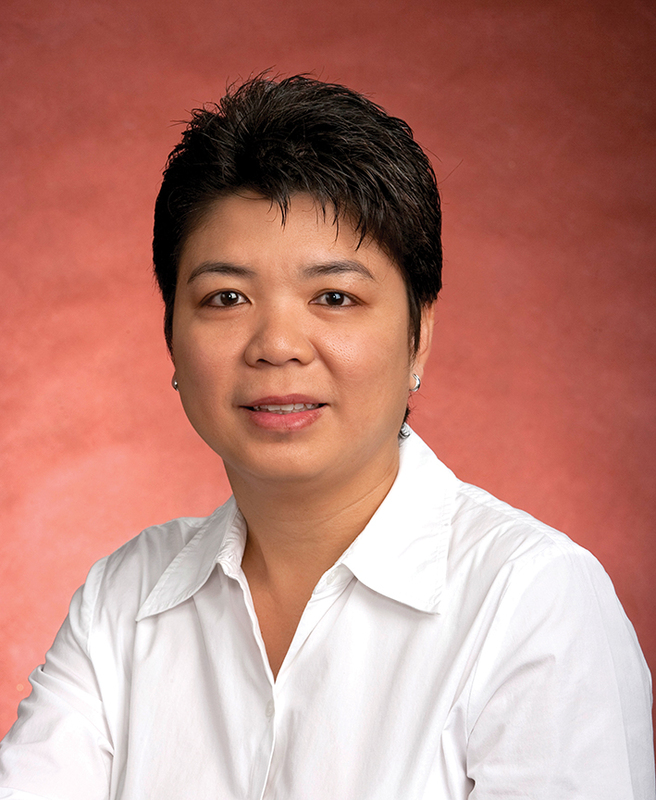 Valencia joined Matson in 2008 as regional manager for sales and customer service in Guam, Micronesia and Asia. At the same time she managed the Matson team that focused on the buildup and related construction activity. Valencia became general manager in July 2013, tasked with overseeing strategic projects to solidify Matson’s long term plans in the Asia-Pacific region. That elevation added additional responsibilities, such as market entry into Okinawa and the planning and construction management of the Guam office building. Valencia also strategically increased the brand awareness and brand presence in the region through celebrations of corporate milestones, events and community sponsorships. She has shepherded through accomplishments that benefit the region. Matson introduced a direct route to the Marshall Islands from Hawaii in 2018. The islands of Kwajalein, Ebeye and Majuro were previously serviced through Guam, but direct service shaves a week off delivery since shipments no longer transit Guam. The containership, named Kamokuiki, or “small island or vessel” in the Hawaiian language, is equipped with two 45-ton cranes suited for heavy cargo lifting. In September 2016 Matson named a vessel after Micronesian grand master navigator Pius “Mau” Piailug, also known in the Pacific navigation community as “Papa Mau.” The ceremony, with the Piailug family and the Yapese community in attendance, was part of Matson’s 20th anniversary celebration in Guam and Micronesia and took place at the Port Authority of Guam. That same month, the Port Authority of Guam board of directors approved the award of a four-year contract of up to $490,000 for technical support of the port gantry cranes to Matson. Leonard P. Isotoff, vice president of Hawaii sales for Matson, worked with Valencia during his time in Guam as general manager and before his own career took him out of Micronesia. Aside from relying on the inner strengths and determination that serve her well, on that occasion and regularly Valencia turns to familiar figures in her social life. 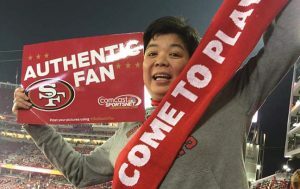 “When I need to take a break from the pressure, I surround myself with good people — like friends, family and even customers and coworkers who have helped me get through my most difficult times,” she says. Leon Guerrero says that she and Valencia share two nieces and a nephew. Sports have always been a part of Valencia’s life and also a way of relieving stress. 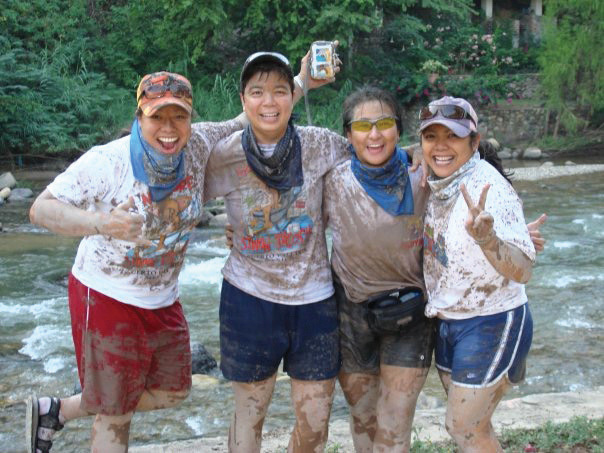 “I used to love paddling and basketball. 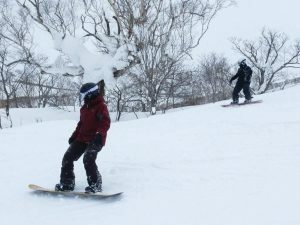 Now it’s snowboarding and golfing,” she says. 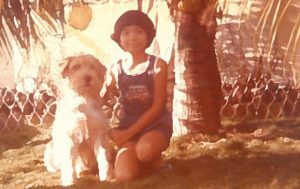 Born in the Philippines, Valencia grew up on Guam, graduating from Academy of our Lady of Guam in 1987. With a talent and liking for math and the sciences she began studying engineering at San Francisco State University, where she would also participate in college basketball and enjoy life in a big city. Refining her aims, Valencia changed her field to aviation maintenance. “The highly technical degree, along with the discipline of being a college athlete, helped me excel in all my roles throughout my career,” she says. Valencia began her career as an airframe and power plant mechanic at Continental Micronesia. 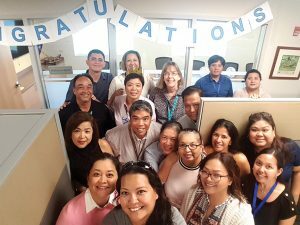 But before long she began her upward path and spent 14 years at Mobil Oil Guam Inc.
She served as the operations manager where she oversaw fuel terminal activities on Guam and Micronesia. As part of her duties, Valencia managed the daily operations at eight fuel terminals; stewarded strict safety procedures and standards; and ensured the overall financial efficiency of the operation. Her other positions with Mobil included vice president of Station Managers Inc., a subsidiary of Mobil Oil Guam, retail sales manager and commercial sales manager. Despite a significant travel schedule, Valencia has taken on various civic service activities and leadership roles within the community. She serves as a board member for the Guam Chamber of Commerce; Guam Employer’s Council; Guam Business Partners in Recycling Inc. (iRecycle); and the Guam Contractor’s Association Trades Academy and was elected to the board of the Guam Women’s Chamber of Commerce in December. She additionally serves as a council member on the University of Guam School of Business and Public Administration and United Service Organizations Guam. Matson also supports Special Olympics Guam, the Ayuda Foundation, Boy Scouts of America, the Guam Contractor’s Association, the American Red Cross, the Guam Chamber of Commerce, the Saipan Chamber of Commerce, the University of Guam, the College of Micronesia, Northern Marianas College, Palau Community College, Autism Community Together, the Guam Memorial Hospital Volunteers Association and the Mariana Islands Nature Alliance. 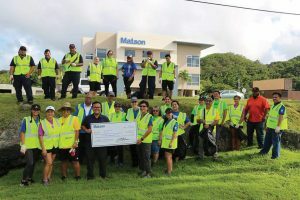 The Adahi I Tano’ or Caring for the land program — which began in 2013, sponsors $500 cleanups on Guam. Valencia is also co-founder and board treasurer of iCAN Resources Inc., which employs about 200 people in Guam with significant disabilities. Valencia has achieved much on behalf of Matson and her community, but says there is a message that others might take away.